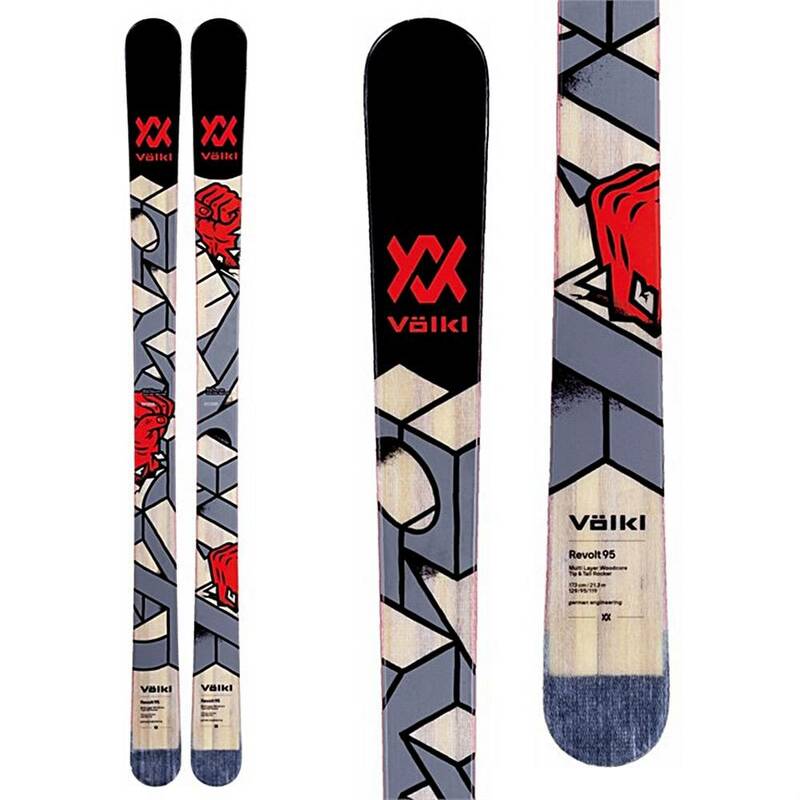 The Volkl Revolt 95 makes an excellent ski for the progressive skier looking for a freestyle ski that can tear it up anywhere on the mountain. The Multi-Layer Woodcore uses vertically laminated strips of wood that drive energy to the snow and keep you stable when you are going big, or fast. Carbon Stringers add plenty of pop and playfulness. Butterzones keep the flex pattern just right for boosting on top of boxes and looking steezy on the mountain. 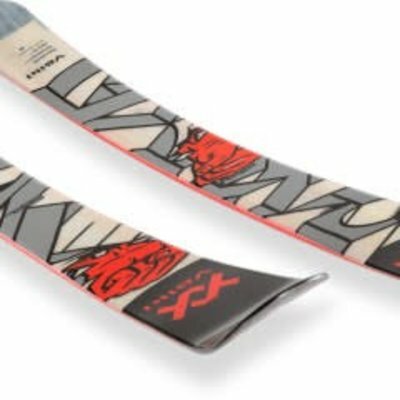 Full Length Vertical Sidewalls beef up the torsional strength of the Revolt 95 and improve edge hold in case you want to rip a lap through the pipe or just charge down the mountain. The 95mm waist of the Revolt is perfect for stomping big landings, can easily tackle powder, and will blow through crud for the days you just want to spend romping around the mountain.